To view digital stereo cards click here. For many of us growing up, the first 3D images we saw were through a View Master. I remember spending many hours playing with the reels and pressing the button to get to the next image. 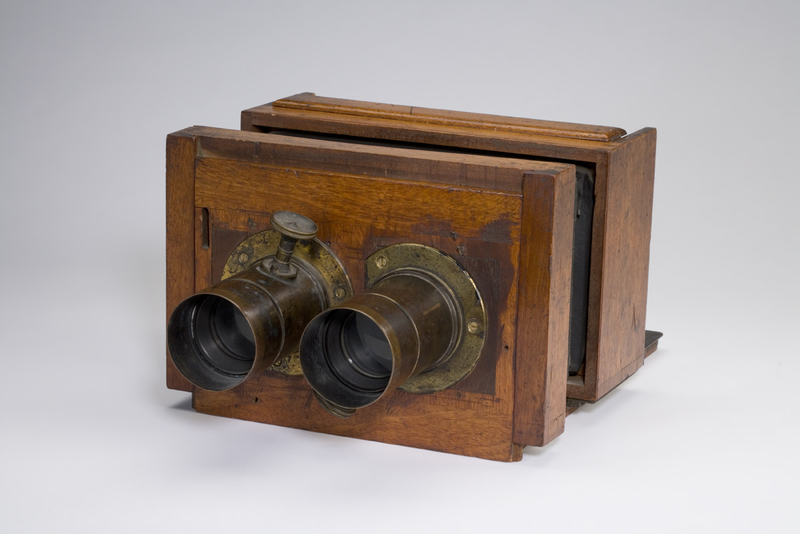 The first time I saw a Stereoscope I put in the card and pointed it at the light. It took a minute to realize that for the Stereoscope to work, I needed the light behind me, not in front! I was amazed with the images and could not believe that 3D photography had been around so long. When I started looking, I found it hard to find a time when images were not available in 3D. I came across stereo views from the 1880’s then 1870’s, 1860’s, 1850’s. I could not believe that quality 3D images was around so close to the invention of photography in 1838/1839. The truth was even more bizarre! Just prior to the invention of Photography, Charles Wheatstone of England, demonstrated how the brain created a 3D view from a composite of the images seen by the left and right eye. 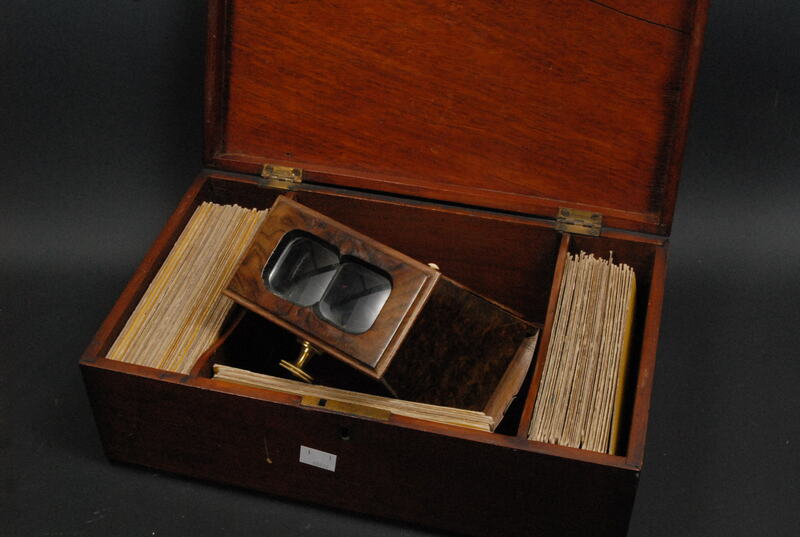 These first stereographs were actually drawings and by looking through a special device you could see the 3D image. 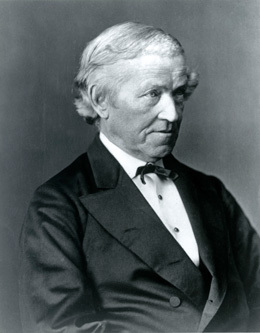 He demonstrated his viewer in 1838, literally just months before Daguerre perfected the technique for the daguerreotype photograph. Almost immediately it was realized that if two cameras were placed approximately two and a half inches apart (approximate distance between your eyes) that instead of drawing 3D images one could simply photograph them. At this point the problem lay not so much in the photograph, but in the viewer. Wheatstone’s viewer was complicated and required a series of prisms and lenses. The skill to produce this and ultimately the cost, kept enjoyment of stereo images to a select group. 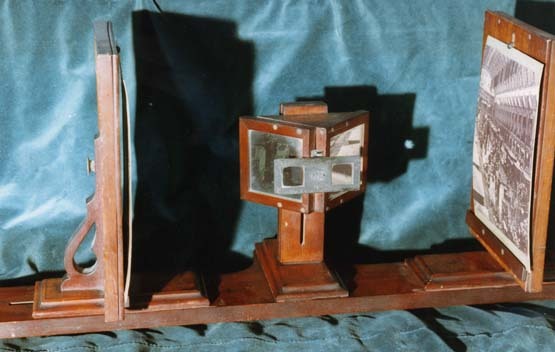 During the Crystal Palace exhibit held in 1851 in London, Queen Victoria became fascinated with the early stereoscopes. This helped to increase popularity to the point that more than 500,000 images were sold in the next few years. Still, the audience was largely the affluent upper class. 3D was not ready for the masses. Over the next few years improvements were made in photography. The images moved from daguerreotypes on glass, to the ability to reproduce multiple copies on paper (similar to today’s process). The original negative was still on a glass plate, but the ability to reproduce the images brought down the prices. The viewer continued to be expensive. 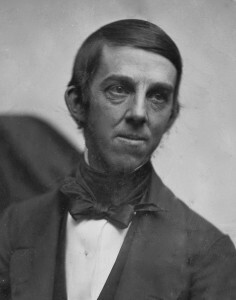 Along came Oliver Wendell Holmes Sr. (father of the Supreme Court Justice and author of “Old Ironsides” poem), who developed what came to be known as the “Holmes Viewer” around 1860. Finally, the viewer had caught up to the photographs. 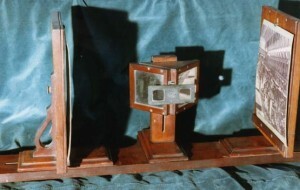 Now it was possible to create an inexpensive 3D viewer that could display the images being produced. Within months, the Civil War started. Photographers realized that they could make more profit with 3D images than they could with standard images. While standard images remained very popular, a review of the images in the Library of Congress reveals that of the 7012 images from the Civil War, 2112 of them are Stereographs. This is more than 30% of the entire collection. When you exclude the 2650 portraits, stereographs makeup nearly 50% of all the collection. Many of the most iconic images of the Civil War actually started out as 3D stereo images. The photographer would sell not only the 3D version, but by printing either the left or right side, could sell 2D versions as well. To simplify the process, new cameras were developed with a single camera that had two lenses and could create one glass negative with both images. This helped with alignment of the final image and improved printing. Soon the demand for images and the availability of affordable viewers made 3D photography take off. Many of these early images were hand colored and tinted during the war. The early attempts are crude and quality varies, but the desire for color images was there from the beginning. After the war the demand for the images continued. 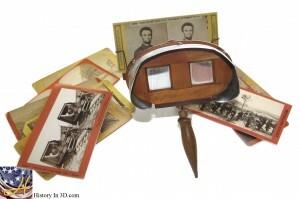 While new stereo images were produced, the public still wanted to see and collect the Civil War images. Today, what is considered to be “original” Civil War Stereographs, were actually made as late as 1916, when most of the images were placed in storage. This means some of these images were in production for as long as fifty years, to satisfy the constant demand. It was not until 1943, when many of the images were now more than 80 years old, that the Library of Congress began to acquire them. Over the next 20 years the Library collected more than 7500 photographs, drawing and sketches. Since then the Library has taken steps to preserve the images, but not to repair or restore the damage that has occurred in the nearly 150 years since they were produced. While the Library of Congress collection is vast, it is by no means complete. The Library’s collection does not include any of the negatives of the stereographs of Confederate commanders in the field (there are a few studio pictures taken just after the war) and just a few of confederate troops. Sadly, many of the negatives may have just been lost. Many stereographs that I have seen are not part of the collection. Where did these images come from and what happened to those negatives may never be answered. At the end of the war many of the glass plates where washed and reused – some simply used as window or greenhouse glass until the images faded and were lost. We are lucky to have the Stereograph images that have survived. With restoration it is now possible to see clean, bright images not only in 3D, but as the people that lived in those times wanted to see them, in COLOR!